Every brand should have an event calendar; you should know when anniversaries, yearly celebrations and public holidays are taking place so that you can leverage them to your advantage. At Distilled, the team have a broad range of passions and interests, which means the types of content we share cover a broad range of topics and formats, from a gif we saw on Twitter to a multi-million dollar TV ad, everything we share feeds into what we produce. Predominantly we share content via Slack, Dropmark and Pinterest. When I start to write these posts each quarter, it is the content that has left a lasting impression that makes the cut, that brand’s content that I have already shared with my friends. By trying to break down how / why that content was so memorable, we can start to understand narrative patterns or methodologies to apply to our own campaigns. Tying in with an event as these first few pieces do, can come with big successes or failures, you end up having just one narrow time period to bank on, conversely, it also gives content a reason for existing, a focus to hinge on. This gamble has paid off for these brands. If you have missed the rest of the series so far here are the roundups from winter, autumn and summer last year. Black Mirror’s new season really drummed up a lot of conversation at Distilled. To tie in with the episode ‘Hang the DJ’ which was about dating using apps, Black Mirror released a simple site that allowed you (like on the show) to view the expiry date of your relationship. Do you really want to know? Sharing the link allows you to tap to reveal, and like in the show when the trust is broken, the numbers spiral out of control, the duration getting shorter and shorter. By Valentine’s Day the main buzz of the show had died down, this piece acted as a clever reminder to drum up the conversation again. I stumbled across these simple short films made by Mustashrik Mahbub, on Instagram. They give a nod to the Chinese New Year of the dog whilst combining with product tie-ins. The joy here is in the animation and illustration style, simple scenes, that stylistically say China. The shapes used in the illustrations tie in with the outlines debossed or woven into the products. These visual parallels make the products and brand come to life in an enchanting way. The team at Distilled were just commenting earlier today, saying how we genuinely like being advertised to on Instagram, and it is content like this with its roots deep in creativity that spread that joy, it’s not intrusive or offensive, it’s just a little polite hello, helping to keep a brand in mind. YouTubes Deja:View tied in with International Women’s Day. The quiz starts by pairing you with another random YouTube user. It then shows you topical videos, e.g. Oprah Winfrey Golden Globe speech, and then asks a question related to the video, e.g. ‘Which female activist does Oprah honor in her speech?’ Malala Yousafzai, Recy Taylor, Rosa Parks or Emma Watson. Each question has a time limit of 12 seconds, and a multiple choice of 4 answers. Bars at the bottom show your progress against your opponent and there is also the option to share the link so you can play against a friend spreading the virality. This works because it challenges you to think about how current you are, how much you are keeping up with celebrity news, poignant advertising messages and political breakthroughs. This is not a real product, you can’t buy it. Netflix, in fact, encourage you to make it yourself, and I am sure some people have tried. To me it is a commentary on the Netflix binge, it is positioned as a helpful aid to stop you missing parts of your favourite series because you have nodded off. The socks, look warm and wintery, the room is warm and there are lots of comfort items around, a warming cup of tea, cookies, a scented candle, cushions, a throw, and now these toasty warm socks, it could be seen as Christmassy, but Netflix has not hinged on this event specifically. There is also a slice of ingenuity in there a ‘huh, how did they do that’ feeling, which of course is explained, not that I am about to buy a LilyPad to help tap the pause button on my remote. Could there be anything more millennial than a chocolate egg, made to look like and avocado? Articles about millennials are ten a penny these days and most of them probably talk about avocados smushed on toast. We like to poke fun at our generation however much we actively personify it’s cliche traits. You can buy this avocado chocolate egg for £8. It’s been a real talking point, I mean come on it is a joke product, which makes me think, is Waitrose even doing this for sales or just for press? Probably a bit of both. I mean surely if someone loves avocados that much, you would buy them an avocado, as opposed to a chocolate egg that looks like one. The start of the year always marks a change of attitude; it has always astounded me how in the most depressing month of the year, we choose dry January, no chocolate and giving up on other things we love, surely we need them to get through. This year we saw a positive change, people started something instead, from brands to friends alike. For Barclaycard vlogger, Giovanna Fletcher started something different for all of the 31 days in January. This content inspires us to do more ourselves and leaves the bank Barclaycard front of mind as a brand, that, like an encouraging parent gave us that little nudge that we needed to better ourselves. Using the power of search, Google News Labs knows precisely what we want to read about. Google visualised the prevalence of searches by the scale of the item, we can see that walls are what we search how to fix most. The article then breaks the data down by country, comically North Americans fixing toilets first and foremost. The simple illustrations, although just stick men do have flair, and don’t aim to visualise everything. For example in the treemap break down only the largest segment is animated, but not the others. These treatments make absorbing a lot of data engaging. Although created by Google it is not heavily branded, even down to its custom domain ‘how-to-fix-a-toilet.com’. The article starts with an everyday conversation, before the title, subhead and credit, which is engaging instantly. I like the idea of a billboard poster being something else. Valentine’s day was a perfect tie-in for the Snickers ‘You’re forgetful when your hungry’ campaign. Taking to the streets, Snickers used a billboard poster to hand out free valentines cards to passers-by and as a slightly more budget-friendly version a food truck (mobile low-cost ad space) to hand out invites to forgetful partners for Valentine’s day dinner. Taking to the streets and working with the general public’s involvement can be risky, but rewarding too as we found out in our Interflora campaign. When working with the general public you must leave the final narrative up to some spontaneity, for example in the Snickers video, the guy holding three roses and grabbing for three cards, you just can’t write that stuff. The Snickers food truck ad is narrated by a sultry sounding french man, adding to that romantic je ne sais quoi of the ad. Call me sad, but there is nothing that excites me more than a new advert by a massive brand. There was a lot of controversy over the Nike ad at Distilled. Some thought it was overly aggressive; I would argue that that style of expression fits hip hop / grime and the target demographic relate to that way of talking amongst their peers, so its positioned perfectly. It feels exclusive; it’s London thing, a club, those of us in it feel connected, part of a community. Others felt shunned, alienated; it created a backlash of press attention. There was an outcry from Manchester saying where is ours? It’s one of those videos where (as a Londoner) you can say ‘oh I’ve been there’. It is empowering it depicts other people’s sports journeys and stresses, which in turn makes your own struggle, the goal you are trying to hit feel part of something bigger. Ahhh FKA Twigs and Anderson Pac what could be more perfect. People do love to hate on these big brands when they bring in big celebrities in ads like this, calling them sell outs. I’m just happy that there is a platform for this type of work to exist and reach such a wide audience. The image manipulation, an extrusion technique makes an ordinary scene mesmerising. 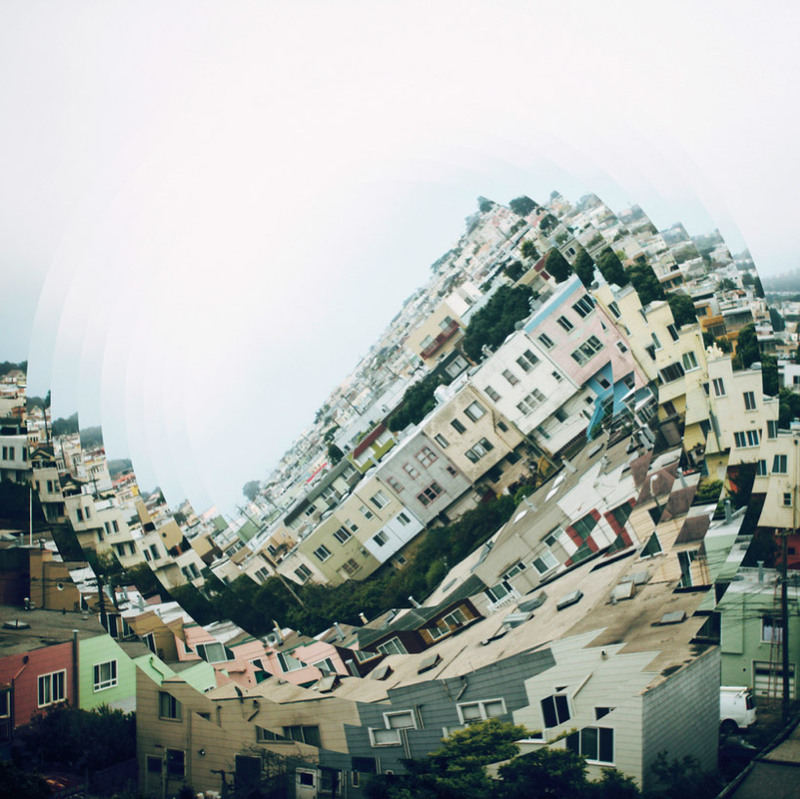 it reminds me of Nicholas Kennedy Sitton’s architectural photography collages. When FKA Twigs starts to enter a world of her own, her happy place, things begin to change, the images divide and the colours at the point the image is cut extrude into colourful ribbons. The narrative shows a woman weary from a day at work being glad to get home, and her HomePod helping to brighten her mood, helping her to find the playful version of herself again, helping her to become the full and best version of herself, putting the worries of the day behind her. What content have you enjoyed lately? Let us know in the comments.